Home / Braille / What is Braille and how is it used on signs in Australia? The Australian Braille Authority notes that Braille is a system of writing that uses tactile patterns to allow people who are blind or who have low vision to read. Braille characters consist of two columns of three dots apiece. 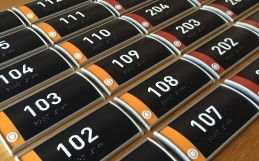 The system allows the blind and the visually impaired to read by touch everything from the labels of food cans to complex mathematical formulas. Braille was invented by Louis Braille, a Frenchman who lived from 1809 to 1852. Braille’s system was derived from a Napoleonic War-era system of “night writing” that allowed coded messages to be read in low light conditions. 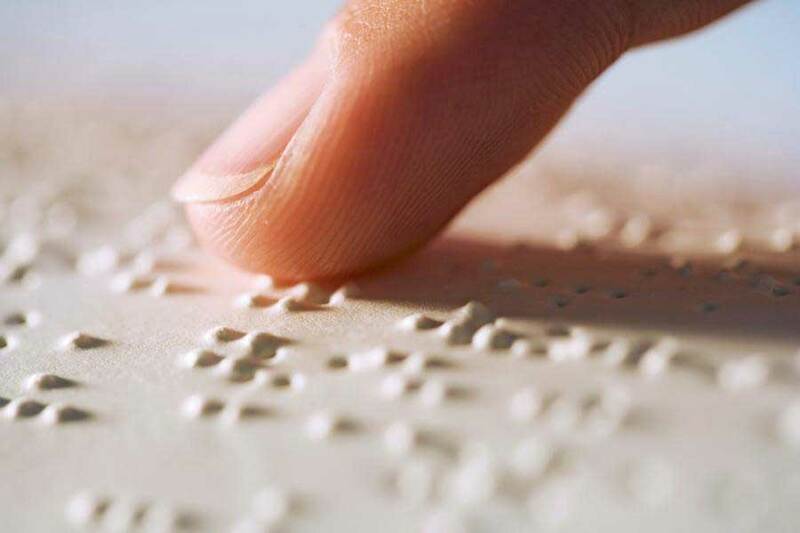 Braille simplified the system to allow a blind person to read the code rapidly. The English-language version of Braille was developed by the early 20th century. Braille has permitted generations of the blind and visually impaired independent access to text that they otherwise would not enjoy. The form of Braille that is now standard in Australia and all other English-speaking countries is called Unified English Braille. The system is designed to use alphabetic characters, numbers, contractions and symbols to represent everything from text, to scientific and mathematical formulas. It can even be used to represent line drawings. The form of Braille used for signage in Australia is called Grade 1 Braille, which does not use contractions, employing a one-to-one representation of Braille code and alphabetic characters. Braille signage in Australia must comply with the provisions related to the blind and visually impaired in the Access to Premises (Buildings) standards under the Disability Discrimination Act. Where the standards do not apply, the signage should comply with the relevant parts of Australian Standard AS1428.1-2009 (Design for Access and Mobility).